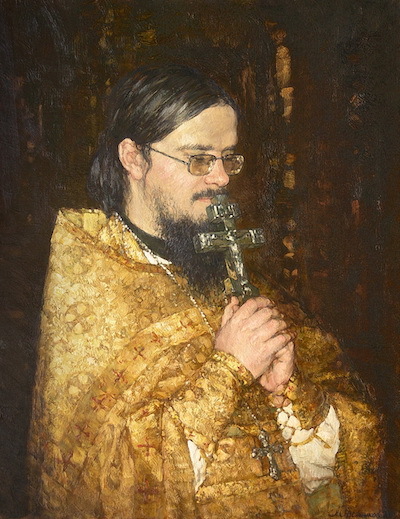 Father Daniel (Daniel Alekseyevich Sysoev) was born in Moscow on January 12, 1974, in a family of art teachers. His parents, Aleksei Nikolaevich Sysoyev and Anna Midhatovna Amirova, were baptized after Daniel’s birth; the boy himself was only baptized in1977. This was because his grandmother, a devoted communist, tried to prevent this from happening, threatening his parents in various ways. For a long time his parents attended church without their child. Then, at the age of 3, Daniel became gravely ill. The illness was so serious that his parents began to fear for Daniel’s life, and so they decided to baptize the child regardless (by this time they already knew that no-one except a man born of water and the Spirit can enter the Kingdom of God). Daniel was vouchsafed holy baptism on October 31, 1977, in the Church of the Holy Trinity on Vorobyovy Hills, Moscow, by Father Eugene. From his early childhood Daniel dreamed of becoming a priest some day, and instead of playing ordinary games he loved to play at preaching. 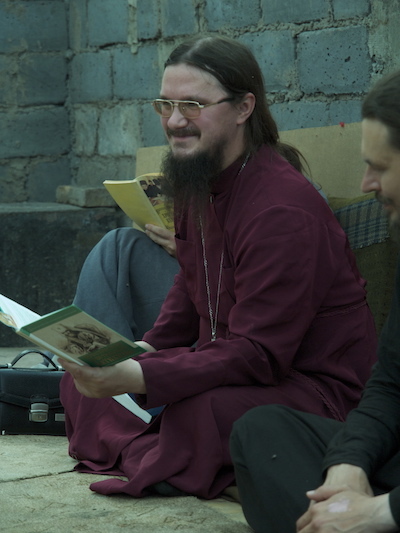 When his father began serving as an acolyte in the Church of the Beheading of St. John the Baptist in Afineyevo (near Moscow), Daniel had the opportunity to help him in the altar and to sing in the church choir. More than anything else, young Daniel loved to listen to the lives of the saints and to paint pictures. The latter was not surprising, as he had grown up in a family of artists. He used to paint beautiful, paradisaical pictures of fantastic worlds: nature, mountains, animals, religious processions, and villages with many churches. The skies in his paintings were always filled with a glorious light. Learning came easily for Daniel. In his early school years he began reading constantly, which would later help him considerably both in seminary and in his preaching. To the end of his life he never gave up reading. Upon entering school he had to experience public confession of his Christian faith for the first time. Once, when Daniel was sick, his teachers came to visit him. The moment they entered his room, however, their friendly mood changed to one of shock and anger: it was something unbelievable for the atheist teachers to see the many icons and Christian books in Daniel’s room, and naturally they blamed themselves. From that time on he was publically pressured to give up his faith and to become an atheist and a Marxist. But Daniel bravely withstood all the public shame to which he was subjected, acknowledging to his classmates: “Yes, I do go to the church; I do believe in God; I do know prayers by heart.” From that moment until the end of his life he continued to confess his faith openly despite all threats. 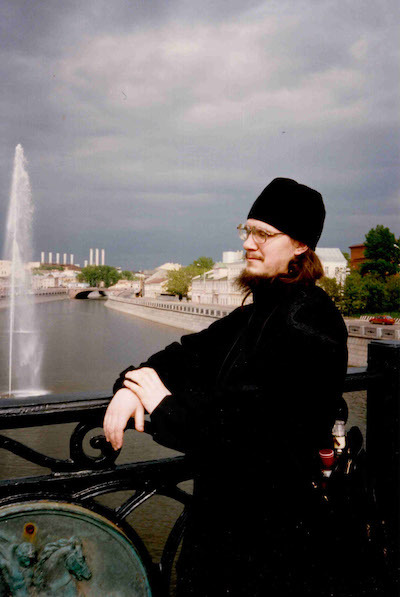 Daniel entered the Moscow Seminary after graduating from school (in 1991). This was a hard time financially for Daniel and his family, so to support himself he began working as a tutor to the weaker students. The seminary was the perfect place for Daniel’s favorite pastime: reading. He spent hours and hours in the library, studying the ancient books. At times he did not listen to the professors at the lectures because he already knew the information from books, but he didn’t let the time go to waste: under his desk he was reading more books. His whole education strengthened him in his deep conviction that saving truth is to be found only in the Orthodox faith. Daniel also enjoyed singing, and was assigned the obedience of choir singer and as leader of a mixed choir in the school of church choral directing. 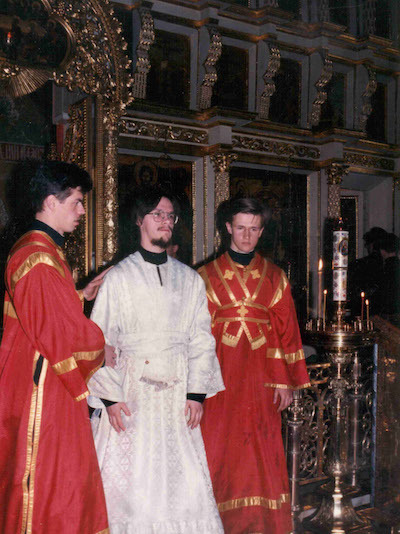 On May 13, 1995, Daniel was ordained a deacon by His Eminence Bishop Evgeny of Verey. That summer, on July 14, 1995, Daniel graduated from the Moscow Theological Seminary and enrolled as a correspondence student at the Moscow Theological Academy. Father Daniel served at the Saints Peter and Paul Church in Yasenevo, Moscow, working at the missionary and educational center and in the rehabilitation center for victims of totalitarian cults and pseudo-religious movements. 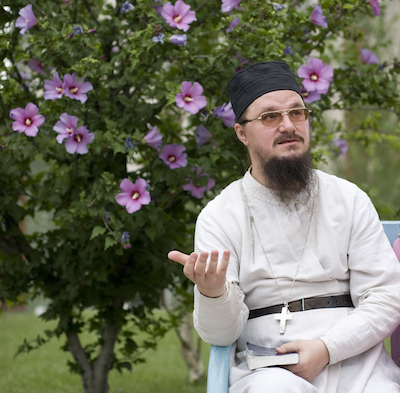 In September of 1995 Father Daniel began working as a teacher at the Classical Orthodox School in Yasenevo, and in 1996 he was blessed by the patriarch to begin missionary Bible classes at the Krutitsy Patriarchal Metochian, for people who had suffered from the influence of sects and occultists. 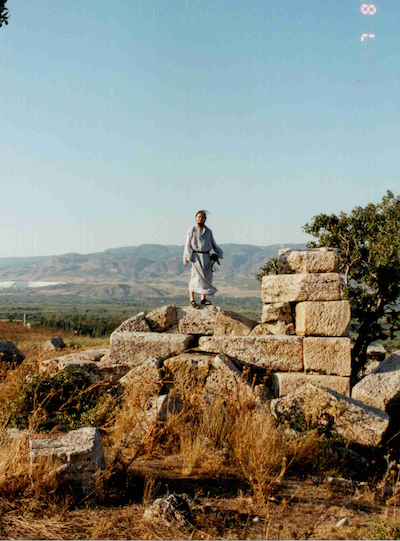 In 1997 he began giving regular talks on the Bible at the same metochion, which he continued to hold until his death. On May 24, 2000, Father Daniel was awarded a Letter of Commendation for his educational work by the Department of Religious Education and Catechesis. 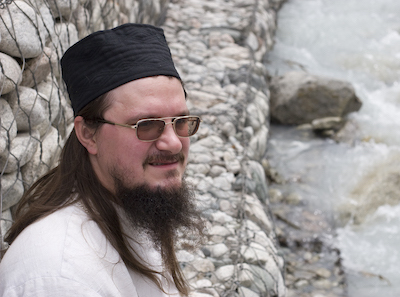 In January of 2001, Father Deacon Daniel Sysoev was ordained a priest and appointed to Saints Peter and Paul Church in Yasenevo under the supervision of Abbot Melchizedek. In the same year his second daughter, Dorofeya, was born. 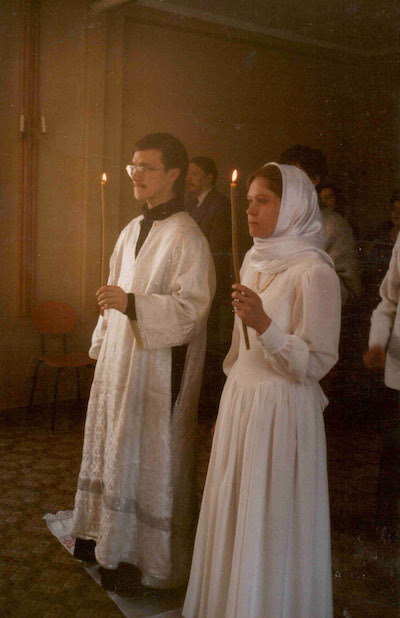 Father Daniel’s priesthood saw considerable travel, especially around Russia and the post-Soviet states. He preached fearlessly to both Orthodox and Muslims, and many of them turned to Christ. At the same time he worked as a professor at the Theological Seminary at St. Nicholas Monastery of Pererva, where he taught liturgics and missiology. In the mid-2000s Father Daniel was invited to his first open discussion with Muslims. He subsequently held similar discussions with various sectarian and pagan groups, and was invited to many TV and radio shows. Soon after he received his first threats from Muslims (and considerable criticism from pagans and nationalists). In 2006 regular Bible talks began to be held at the Church of St. Thomas on Kantemirovskaya Street – a parish church founded by Father Daniel himself. In addition to the talks Father Daniel began missionary courses for young people who were inspired to spread the God’s Word among atheists, sectarians, Muslims, and others. Many of those who were converted to Orthodoxy by Father Daniel joined his missionary activities and also became missionaries. He used to say that everyone is called by the Lord to join His true Church and inherit eternal life, regardless of his or her national, cultural, or political background, because within the Orthodox Church all people become a nation in Christ. Until his last days Father Daniel continued to travel extensively (his final trip and one of the last interviews with him occurred in Serbia), and to the very end he remained fearless in the face threats against his life. The day of Father Daniels martyrdom began with the Divine Liturgy and Holy Communion. He then baptized a child and conducted a confirmation in Orthodoxy for a person who had fallen into occultism. In the evening Father Daniel held his usual Bible talks, after which he remained in the temple for a long time talking to the listeners and answering their questions. When almost everyone had left the temple he went into the altar to hear a confession. At that moment the killer burst into the temple, wearing a mask and carrying a gun. He shouted: “Where is Sysoyev?” He began shooting, wounding the choir director. Father Daniel came out of the altar saying: “I am here,” walked fearlessly towards the killer, and was mortally wounded. The killer then ran out of the temple. Father Daniel died a few hours later without regaining consciousness. He was 35 years old, with a wife and three daughters. As has been stated, Father Daniel received numerous threats from people who wanted him to stop his mission. But preaching God’s Word was more important to him than safety. 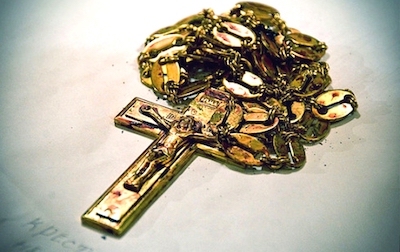 He was murdered in the performance of his clerical duties, wearing his stole and cross. On Friday night, November 20, 2009, a memorial service was held at St. Thomas Church, at which the friends and relatives of Father Daniel were present, as well as members of his missionary school and the local community. On the following Monday Moscow bade a final farewell to the deceased Father Daniel. The funeral service was held at Sts. Peter and Paul Church in Yasenevo, where Father Daniel’s father had served as a priest. The service was conducted by Bishop Arseny (Epifanov). Hundreds of Orthodox believers came to bid farewell to the priest. About two hundred clergymen gathered in the temple, in white vestments, holding lighted candles. Standing out against the white vestments were Father Daniel’s relatives, dressed in black mourning. After the service, Patriarch Kirill of Moscow and All Russia served a memorial litiya at the coffin and gave the eulogy for the tragically murdered Father Daniel Sysoev. 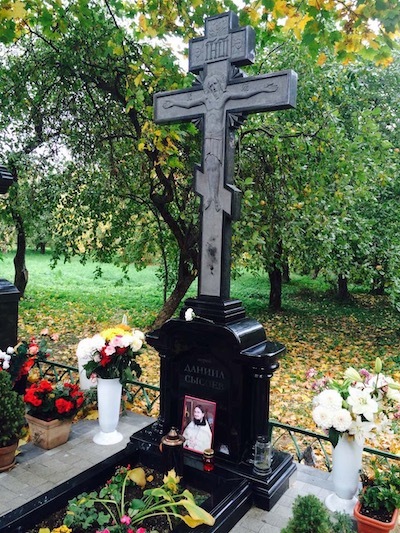 Father Daniel is buried at the Church of the Holy Mandylion cemetery in Kuntsevo, Moscow. The 40th day after his death – the day of the soul’s partial judgment, according to Orthodox tradition – was his name day, the feast of the holy prophet Daniel (December 30). Father Daniel’s service to God was filled with events so numerous that they would fill a book. He helped people to discover and understand the Truth. It was his dream to preach God’s Word to all people and nations around the world. He guided people to the path of moral and spiritual perfection amid the modern conditions of life, and called all to adhere to the apostolic principle: “If it is possible, as far as it depends on you, live at peace with everyone” (Romans 12:18). Father Daniel knew God and loved Him with all his heart and soul. Father Daniel’s love for God was true and sacrificial. Father Daniel endured martyrdom for Christ. He has left considerable work for us to do, as well. For each and every Orthodox Christian the life in Christ is the most important part of living. And this good intention – to live in Christ – has an intercessor in Father Daniel, because the Orthodox know that he is alive, and is praying for all those who have gone astray.